Cream together the first 4 ingredients. Roll into balls and bake at 350� for 9 minutes only. Let them cool on the pan. Mix the rest of the ingredients together for frosting and put frosting between cookies. Best if refrigerated. 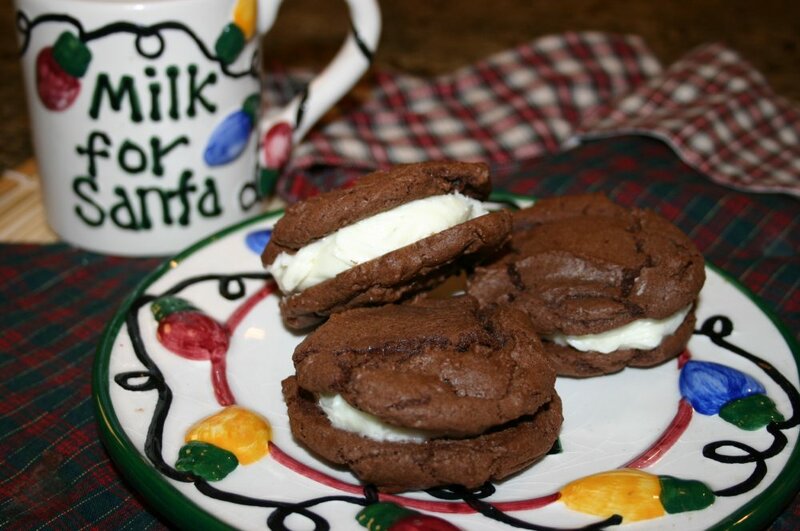 Click here to download Homemade Oreo Cookie Recipe to Cook'n.